Horizon Services is an awesome company. They were very customer oriented with great and friendly attitudes. I will definitely recommend them to all my friends and family. Thank you! Went above and beyond to make sure I was completely satisfied with their work. My AC works great and I will use Horizon Services for all my AC/Heating and Plumbing needs. They were fantastic! Great Experience. We’ll do business with Horizon again, they take care of our concerns, show up on time, go above and beyond, do the work they say they are going to do, and are professional at all times. We cannot stress enough how important it is for a homeowner to have annual maintenance performed on their homes heating system, whether it’s a gas furnace, hot water boiler, or a hybrid of the two, nothing is more effective at helping to eliminate unexpected failures in their homes comfort system, resulting in a no heat situation. Let’s think about this for a moment, would you take the family car on an extended road trip without first having a thorough safety inspection performed on it, possibly having the oil changed and air filter replaced? Not having an inspection performed on your homes heating system prior to the start of the heating season is a very similar situation. Testing the system for safe operation, ensuring the air filter fits properly, and the system is operating how the manufacturer requires the unit to operate, is very important, and ensures that the equipment is up to the challenges of the season ahead. Probably the easiest general maintenance procedure that a homeowner can perform on a routine basis is the replacement of the air filter in the system(s). This is of course the bare bones minimum that should be performed, and in some cases due to misinformation, or simple unfamiliarity homeowners do not realize that their system has an air filter, which can be disastrous. Horizon Services has several options available for ensuring that this important service is performed promptly and effectively on a routine basis; just give us a call for more information. It is an unfortunate fact that a lot of unexpected heating system issues could have been avoided, or even eliminated with regular general maintenance, ensuring the system is operating within manufacturers’ guidelines, yet most homeowners do not realize this until it is too late in a lot of cases. Some minor issues left unaddressed can lead into major ones, in some extreme cases these cannot simply be repaired but end up requiring the equipment to be replaced. Having the right information made available to you in a timely fashion, to help you determine if it’s worthwhile to either repair or replace the equipment, we feel is a very important part of the service we provide our customers. Generally speaking, if a heating system is more than 12 to 15 years old, and a major repair is needed, it makes sense to at least consider your options regarding the replacement of the equipment. Having a company that you can trust to be there when you need us is why we offer extended business hours, 7 am to 7 pm, 7 days a week, all for regular rates, and emergency service is also available outside of these hours. You will also be talking to a live human being anytime you call, and not a machine, when contacting Horizon for service. We understand that you have many choices when it comes to picking an HVAC service provider to handle any heating, air conditioning or plumbing service. Our mission is to create and stage unique and memorable “Horizon Experiences” that will leave our customers, suppliers, and employees feeling compelled to tell their family, friends, and neighbors about their unique experience. Service locations include: Denver, Littleton, Englewood, Highlands Ranch, Lone Tree, and Centennial, Aurora, and surrounding areas. As a professional air conditioner repair and service company, Horizon Services understands that even though we have extensive knowledge of AC and HVAC units and equipment, we are actually in the people business. We also understand that people don’t want to own air conditioners, furnaces or coolers, so much as they do want a cool and comfortable home. 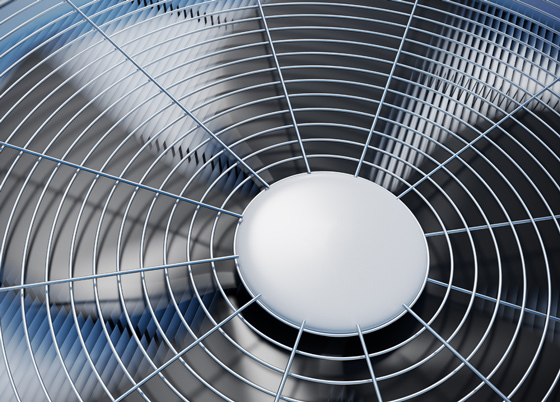 Horizon’s job is to educate clients on the importance of maintaining air conditioning equipment to make sure their cooling units last a long time and prevent any unexpected downtime with their homes’ comfort system. This is always a challenge, but that’s why we’re here to keep your Denver cooling system running at top notch. Air conditioning unit manufacturers have a list of recommended checks and inspections for their equipment in their owner’s manuals, which was utilized to develop Horizon’s AC equipment service and maintenance checklist. Over the years, this checklist has also been modified based on our own heating and air conditioning service experiences, to not only ensure professional service for customers, but also to ensure that the work being performed is done efficiently and consistently, maintaining a high level of quality, to help our clients avoid unexpected AC unit breakdowns during the summer months. If your air conditioner or cooling system is broken or suddenly stops working, you want an HVAC company that can be available for air conditioner repair right away. You certainly don’t want to hear “We can be there next Friday, a week from today…” That’s why Horizon Services offers our AC services seven days a week – 7 am to 7 pm, and all for regular rates. Horizon also offers after hour’s emergency air conditioning service outside of our extended business hours, and we have a live answering service, so you never have to talk to a machine. We understand that ac and cooling problems are not even found out until you get home from work in the evening or come in from an afternoon at the park on the weekend. You also want someone you can trust in your home, which is why all employees of Horizon (including management) have passed an extensive background check, which the employee must have re-performed every 2 years. If your home comfort system is more than 12 to 15 years old here in Denver, this is the point at which the equipment, based on the amount of run time we have for cooling and heating systems, it may be worth considering replacing you’re a/c or heating unit if a major component failure were to occur, as it may make more sense to invest in newer more energy efficient air conditioning equipment depending on the circumstances. In a lot of cases just the reduction in utility overpayment by upgrading from an inefficient and poorly operating system can save you a lot of money. It is Horizon’s job to ensure you know what your options are. As a professional HVAC service provider we understand that you have more important things to do, like spending quality time with family, so by having your home’s comfort system properly maintained, you can eliminate hassles, have more time to do what you want to do, and have no worries when it comes to the equipment that keeps your family comfortable and safe year round. Horizon Services Plumbing, A/C & Heating services all furnace, AC, boilers, hot water heating, baseboard heating, humidifier, filter, thermostat and water heater brands including: Trane, Carrier, Bryant, Lennox, Rheem, Ruud, Amana, Goodman, Janitrol, Maytag, American Standard, Gibson, Frigidaire, Aprilaire, Honeywell, General, Trion, Aire Ease, Heil, Tappan, York, Armstrong, Luxaire, Comfortmaker, Sears, Kenmore, Coleman, Tempstar, GE, General Electric and Singer. When it comes to equipment warranties these days, most manufacturers in the HVAC industry have (2) different warranties. The first is what they offer as a minimum warranty. The second is a recent trend to also offer a longer warranty coverage if the product is registered through the company’s website, this usually needs to be performed within 60 days of the date of installation. there is a heating or cooling utility rebate that you qualify for, we completely fill out the forms, include all required supplemental info, and all you do is sign the paperwork. We then mail it for you, so you don’t have to ever worry about it. With Horizon Services our guarantees or warranties are fully transferable during the warranty period, and time periods are accurately calculated from the date of original purchase.